In Russian we have an idiom “Zub dash?” or “Zub dam!”, which means roughly: “will you bet your tooth on this?” and “I’ll bet my tooth on this!”, correspondingly (both ways, it’s not exactly posh). We usually ask the first question, when we want to know if our companion is serious about something. And usually the answer is “sure!”, without even shadow of doubt, so we go away, reassured that we’ve got the deal. Sometimes, though, nothing happens. I’m not sure, why. It may be because no one thinks I’m going to pull out their tooth for this (they’re right, unfortunately). Or there is some other reason, but it seems like the answer “yes” to the idiom isn’t taken too seriously. But I found a solution. 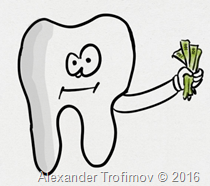 I just changed the price: instead of tooth I ask for, say, $100. And now they’re thinking before the answer. Which is, if you think it over, rather strange, because a tooth is obviously more precious thing than $100. But then, I will definitely not go for you tooth (see the previous paragraph), as for the $100, there are chances I will. Or maybe the question isn’t too familiar and wakes our consciousness. Anyway, that’s the trick I use now a lot and if you have similar problems, you may use it too. This entry was posted in Consciousness, Tips'N'Tricks on November 17, 2016 by Alexander Trofimov. 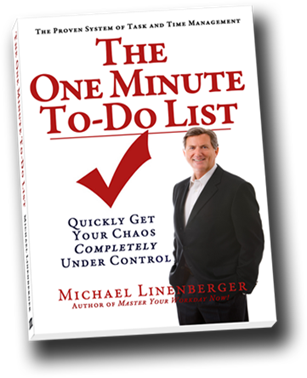 Just a short review of a free (yep, it is free) book on the productivity topic (the author: Michael Linenberger). I, somehow postponed it, though I read it several months ago, on my vacation. · Be careful while creating “Important” category. I always repeat, that there should be only “do it now” (the less tasks the better, the best result will be with just one), “do it someday”, “don’t do it”. Else you’ll find yourselves with a lot of “important” stuff on hand. · Once more: spend several minutes to plan your day. It is worth it. At least you won’t find out that despite your promises you won’t be able to spend 3 hours on a report today, because you have 6 meetings and one long call. And not achieving your daily goal may frustrate and demotivate you. 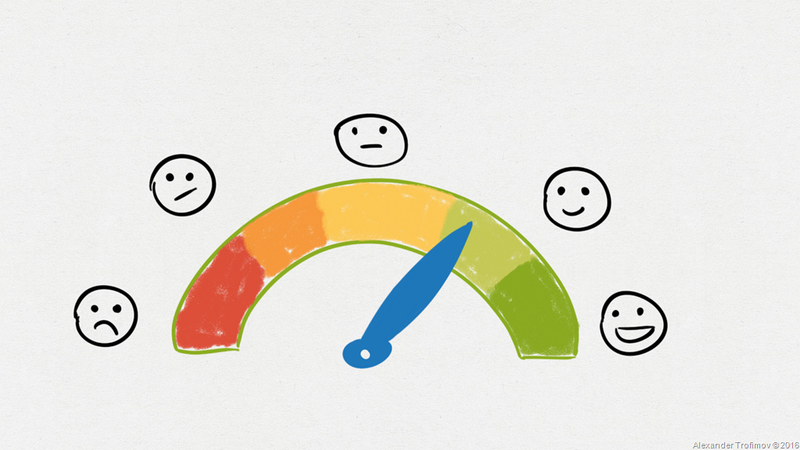 I just wrote some thoughts about how bad it is to plan to do more than you actually can. · I also found in the book a very interesting idea about “magical” 10 days (which usually translates into 2 work weeks): the author’s observations show that most people “tend to relax their anxiety about a big task or project if its deadline is beyond one or two weeks out”. That’s interesting, because it somehow correlates with my own observations, from which I see that most people cannot make solid plans extending the same term. And some practices recommend start planning with two-week chunks. Coincidence? I wonder if there is some research on the topic. · A bit on what I call consciousness (Going home test as the author calls it). That’s not about meditation, rather about making some things being fully turned on, without autopilot. If I have something urgent, I should ask myself: will I be willing to stay at work overtime today to do that. If not, then it is not that urgent. · Also there are references to limiting work in progress. BTW, what to do with a manager’s tasks? A manager definitely has more tasks than his subordinates. At the moment I treat as my own tasks only those I do myself and do not delegate? · But there are stupid in the book, too. Like having your to-do list visually close to your emails. It’s a behavior which easily may lead you to spending all day in your mail without doing any tasks. · The book also would be twice shorter if not for description of some software. I don’t like such stuff in books: your tool is almost irrelevant, if you know what to do. But even so it’s quite short. Usefulness: average. It will increase if you are just starting working with to-do lists. Is it easy to read? Yes. This entry was posted in Books, To-Do Lists on November 10, 2016 by Alexander Trofimov. It’s absolutely unavoidable to rest if you want to work. Ok, I officially admit, that I’m not a hipster. I’m absolutely mainstream. They’ve been talking for years around me about how one should treat themselves better and give them more space and sleep well… Ok, here I am, after many books on anti-procrastination, getting things done, making yourself productive, you name it. As a result, I understood some things, among them a very stupid one: you don’t have 24 hours a day. No, not even on Friday. And, no, you don’t have another 48 hours at weekends. And the more you act like you don’t know that stupid thing, the less good it does to you. 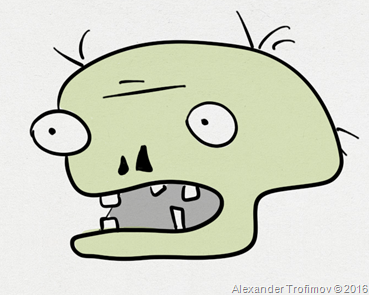 Ok, say, you’re one of those mindless zombies, who sleeps 4-5 hours a day (you sleep less than that? WHAT THE HELL ARE YOU!?). Like I was just several years ago. You still have 19 to 20 hours a day, do you? Of course you do! That’s the math, it cannot lie. Unless… Unless you’re eating, telecommuting, going to bathroom, drinking, just stalking around because you don’t have the slightest idea what you were doing right now (4 hours a day sleep makes wonders) and all other stuff. And you definitely don’t do fun. Just not to be forgotten: meetings. I know, they also are your job, but usually you have some work other than meetings, and when you say “job” you don’t imagine some meeting. Usually it is getting ready for the meeting, or writing a report, or investigating something. So, actually, you don’t have 24, 19 or even 12 hours a day for your job. I understood that, when I tried to map my own day on work (and, mind you, I worked more than 10 hours a day at the time). Actually, I was trying to find out, how much continuous time I do have throughout a work week. I started with jotting out my lunches. Then I took some time every day for doing my emails (quite a chunk of time, I dare say). And a bit more for the weekly reviews of my productivity system. And for my weekly report. After that I put into the schedule (and removed out of my life!) some regular meetings: with my direct reports and my boss, change advisory boards, and Change Management Post Implementation Reviews. And some more things. And it looks like from 40 hours a week only 19 are available for anything what haven’t been planned yet. Wow. Now I’m taking my calendar and peek into it looking for non-regular meetings, which arise ad hoc, or are necessary to move some tasks forward. I’m counting how much of them do I have on average week and I remove them from my budget too. What I’m left with is mind-boggling 8 hours a week. Yep. 8 hours. · And after all that you scarcely have ego left to miss your chance to “just look” at your social network. For two hours if you were counting with me. And, even more, if you decide, that this particular “tomorrow” will be ok with just 6 hours of sleep. How’s that for “I need to fix this plumbing” or “I’d like to draw at least an hour a day”? As far as I understand from my own experience, some forums and books, it is a common problem: people just don’t leave themselves time to live. My own problem was greatly diminished by what I pictured in the previous lines. I haven’t resolved it completely, but I sleep 7 to 9 hours a day, I do sports 3 to 6 hours a week, I write my blogs more or less regularly, I read (and not only in a bus), I play games, I doodle, I bake sometimes and even do my home chores. I’m not yet into something dramatic, as you see, but it is much more than what I had just a couple years ago. So, it worked for me and why don’t you try it if it is a problem for you too? This entry was posted in Time, Tips'N'Tricks on November 2, 2016 by Alexander Trofimov.